Grow Me WOW is all we can say we have not been stocking this product for long and my goodness the reaction so far is amazing, sales have exceeded our expectations. 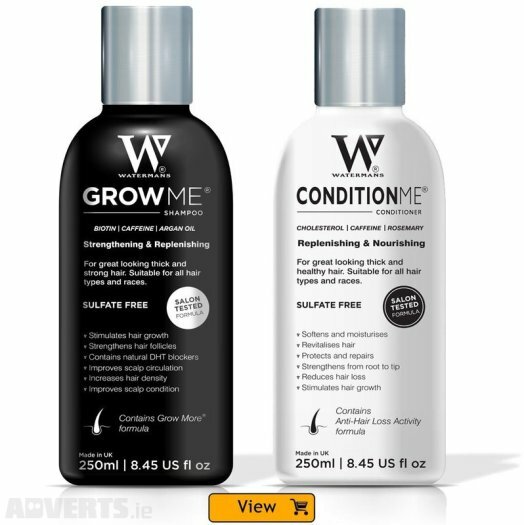 Watermans Grow Me is an awesome shampoo smells great makes your hair feel great but only if applied correctly. Our advice is to make sure your water is not roasting so it would burn the head off you but a nice heat soak your hair and they apply some Grow Me shampoo make sure you massage your hair for at least two minutes getting up a nice soapy lather, then leave it there all nice and soapy for about another two minutes. Once your two minutes of waiting is up, apply warm water. If you don’t want to use the Condition Me conditioner then our advice would be to pat your hair dry so it’s not dripping all over the place and then let it dry naturally. For lots of our customers, this has yielded fantastic reactions and they are delighted to Grow me and the end result so much so we can hardly hold onto this product. Instead of buying multiple Hair Products you will save with Grow Me® Shampoo in the long run. 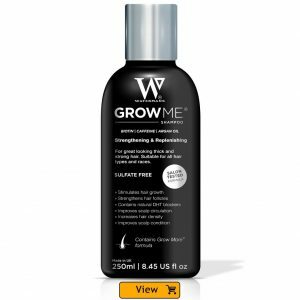 Due to the success of Grow Me Shampoo Watermans customers requested for them to develop a luxury conditioner formula so they have combined Ancient and modern day natural finest high grade ingredients. After Shampooing, rinse hair and apply Watermans Condition Me, massage into hair from root to tip and leave for 2-3 Minutes, Rinse hair thoroughly. For a Deep conditioning treatment cover hair with a plastic cap or towel. Keep on hair for 15 – 20 minutes. Remove cap or towel and rinse thoroughly. Cholesterol is organic and safe West African ingredient from the 1800s that’s not mostly known to non-African races, Cholesterol is super ingredient is used to repair, moisture and replenish hair after repeated styling processes. 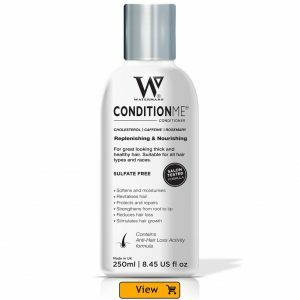 Using Watermans Condition Me regularly can protect the hair from becoming damaged during heat straightening and blow drying. Our Cholesterol Conditioner can also be used as a deep-conditioning treatment, this helps strengthen heat damaged hair and improve strength and manageability. Cholesterol in our Watermans Condition Me comes from sheep’s wool ‘lanolin’, Lanolin also has anti-fungal and anti-bacterial properties that protect the skin from infection. Caffeine helps stimulate the circulation to hair follicles for promoting new hair growth, caffeine only starts to get to work on the scalp after 2-2 minutes, please make sure you leave the Condition Me Conditioner on your hair for the stated time period. Rosemary from Mother Nature is one of the most powerful herbs on the planet used by ancient Greeks, Romans and Egyptians. for the treatment for hair loss problems. When applied over the scalp rosemary extract within our Watermans Condition Me Conditioner helps Stimulate and improves circulation to the scalp thus encouraging hair growth, due to its antibacterial quality it gently cleanses hair of toxins and increases shine. Rosmarinus officinalis has known to prevent baldness, slows premature grey hair, and also relieves irritated, flaky, dry, flaky dandruff ridden scalps. When looking into Male pattern baldness and female pattern hair Loss (FPHL) DHT (dihyroxytestosterone) that restricts the follicle’s ability to produce hair growth which causes the hair follicle to shrink, we found that Rosemary is an amazing natural way to lower DHT in the scalp improving hair growth. Allantoin improves the elasticity and softness of hair while giving it a slight glossy effect, being keratolytic, allantoin helps moisturize hair and scalp and softens keratin which allows the scalp and hair to hold onto moisture making your hair look thicker after one wash. Keratin is an extremely hard protein so by breaking it down or softening it, moisture is allowed to be retained in the hair and scalp. An active ingredient that acts simultaneously on the three principal factors that control the hair cycle: hormonal balance, the vascular system and cell metabolism around the hair follicle, facilitating the supply of oxygen and nutrients required for hair development. Stimulates the differentiation capacity of cells in the hair bulb and favours the keratinization necessary for hair growth. Reduces hair loss and increases hair density. A genuine nutritive and revitalizing cocktail for the bulb and hair destined to delay or to slow hair loss. Just like Rosemary one of our other ingredients we used this amazing Hydrolyzed lupin protein as a second wave attack against DHT Hormone that causes androgenetic alopecia, or male pattern hair loss and female pattern hair loss, Condition Me Conditioner is a great DHT Blocker that re-establishes the hormonal balance by inhibiting the activity of 5-α reductase 2. This enzyme catalyses the hydroxylation of testosterone to form 5-α -DHT (dihydrotestosterone), a molecule involved in the miniaturization of hair follicles, characteristic of androgenetic alopecia. Known as B3 this helps prevent scalp from losing water content that prevents dry unhealthy scalp and improves blood circulation in the dermis to the scalp, bringing more oxygen and nutrients to the hair follicle. B3 also offers multiple benefits for aging skin and can improve skin’s elasticity, dramatically enhance its barrier function, help erase discolorations, and revive skin’s healthy tone and texture. Niacinamide helps soothe irritation and reduce inflammatory hair loss. Glycerin is a great conditioner that improves natural hair moisture and elasticity on hair when it is pulling moisture from the air to keep our tresses moisturized throughout the day,” women with tightly curled hair, frizzy, brittle, dry or afro hair find glycerin very beneficial. It is an excellent natural moisturizer because of its ability to absorb and keep moisture. It also helps prevent hair breakage, stimulates hair growth and also improves hair strength.